Plans and targets achievement effectively and efficiently. Bachelor of Pharmacy and experience at least 1 year in a public pharmacies. Has the ability to communicate learn and develop. Ability to train others.Ability to make decisions. Flexible appointments and work on weekends and holidays. 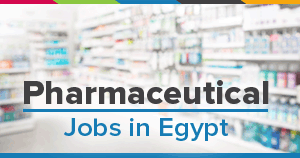 Al Fayrouz pharma is a fast growing pharmaceutical distribution company since 2006 in Cairo. FP introduce pharmacy management solutions,not only Hr..,finance but also all supply chain solutions for many pharmacies . FP cover today new Cairo, maadi, nasr city, moqattam & downtown.